Rotary: What's in it for you? The entire process — from asking about joining to becoming a member — is explained below. Explore the Rotary International website to learn more about our organization, our priorities, and the benefits of membership. By completing the Join Rotary form, you let clubs in your community know you're interested in learning more about membership. 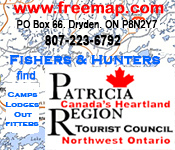 You are matched because of location with the Rotary Club of Dryden. Clubs also exist in Kenora and Sioux Lookout. For all other clubs link here. 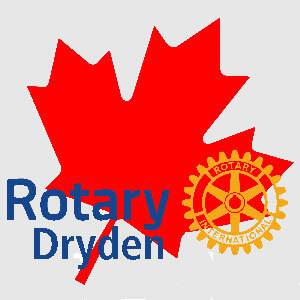 A member of Dryden Rotary club will contact you, by email or phone, to discuss your interest in joining. You may be invited to a club meeting, social event, or even to volunteer on a service project. This way, you get to try out the club before joining. If you and your prospective club are a good fit, you will be invited to join. After you accept, your club may hold an induction ceremony to welcome you and commemorate this important event. As a new member, you may also go through orientation or be matched with a mentor. Every club has its own traditions and ways of welcoming new members. You will have a more positive experience in your new club if you take an active role. Join a committee. Lead a service project. Organize a social event. The first Rotary club was founded in 1905 with the idea of inviting members from a variety of professions. It turned out to be a great way for people to connect with, and support, their communities. Clubs retain this principle today, with members representing a variety of professions.